White soul singers are given inordinate amounts of praise by the masses. There is just something about a White person treading into soul singer territory that gives them all the “street cred” in the world (at least to other White people). This is not to say that Sam Smith or any other White artist isn’t a “soul” singer. “Stay With Me” is dope (listen below). And for the first couple of times I heard it, I assumed he was Black. But only White people can put out one song and suddenly become the face of an entire genre of music. Yet and still, the outlandish praise continues to flow. V Magazine refers to him as “the new sound of soul.” I’m not sure what weight a fashion magazine has in crowning leaders in musical genres, but that is a pretty bold statement to make. But, this is the Macklemore Effect. It’s professional Black face that is hyped up and cosigned by White news media. Let’s be real. Isn’t Justin Timberlake, as talented as he is, given half of the praise he gets because he manages to do it while White? Would Robin Thicke have been seen as a viable artist if there wasn’t such a high likelihood of him crossing over onto pop radio? Would Remy Shand or Jamiroquai have ever even had a chance if they weren’t White? Yes. There was a time when Remy Shand and Jamiroquai seemed like wholly viable artists in the name of blue-eyed soul. Stew on that. I find it difficult that people so easily take an art form that was born of the blood, sweat, and tears of Black people – often rooted in the bowels of oppression and perpetual inequality – only to commodify it in this way. Soul music is not a passing fad or term to be thrown around when convenient. It is not a collection of instruments and sequence of sounds to be employed for financial gain. Soul music is deeper than that. For example, look at Luke James. His self-titled album last year was a soul music revelation. It was a staggering debut. Still, I saw more press about him dating Jessie J than the content of his album. Despite his long road to make it in the industry and his remarkable talent, paparazzi literally reduced him to Jessie J’s arm candy and luggage valet. Compare “Stay With Me” to James’ breakout hit “I Want You” (listen below). Or just compare “Stay With Me” as recorded by both singers. 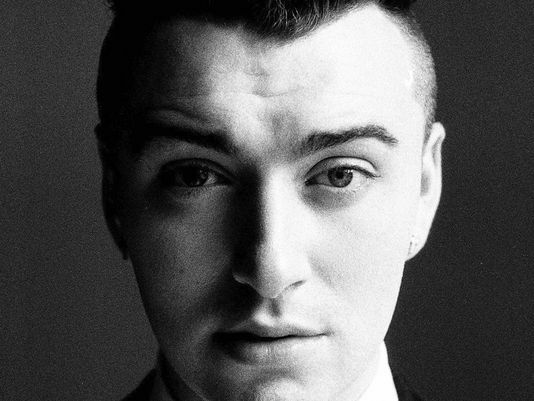 Now compare Grammy nominations: Sam Smith – 6, Luke James – 1. Clearly a crime is being committed, and Luke James is the victim. By and large, I’d bet that a Sam Smith fan isn’t much of a soul music fan. I’d bet that Taylor Swift is in their rotation. I took the liberty of listening to Sam Smith’s In The Lonely Hour. And honestly, it is much more of a pop/soul album (see the Grammy nominations in the Pop category). New face of soul? Right. That is the danger in magazines making these outlandish claims to increase sales. All of a sudden, the unenlightened think they are enlightened. The soul singers that have been paving the way and laying the foundation for the art form are either forgotten or never even noticed. And because Whites have the privilege to disregard soul music’s deep rooted history, the simple, sinister truth is exposed: things only matter if they matter to White people. So who is the true face of of soul? Well when Justin Timberlake and Robin Thicke released their most recent albums, they were deemed the faces of soul. Now they say it’s Sam Smith. And while the likes of Timberlake, Thicke, and Smith may have grown up listening to the voices that defined the genre, they by no means get to co-opt the mantle. There is no face of soul music. But, if there was one, it would be Black. And if you are racing to name one from the slews of White singers recently crowding the Billboard Top 100, you just don’t get it. Next story Sometimes People Just Don’t Like You Because….